The Right goggles feature a classic round lens shape. The lenses are also slightly curved which provides excellent peripheral vision. The TPR gaskets around the lenses form a comfortable, watertight seal around the eye socket. The lenses feature external anti-scratch treatment, UV protection and internal anti-fog treatment. The headband is made of 100% hypoallergenic silicone for maximum comfort and fit. 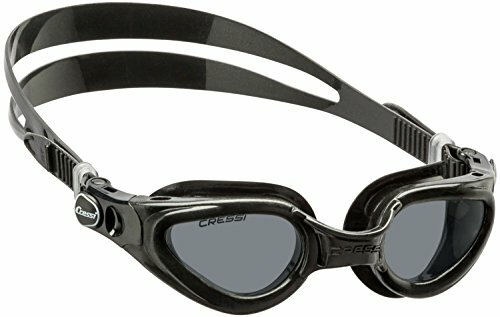 The strap and buckle is also interchangeable with all other goggles and masks in the Cressi Swim Line. Made in Italy.